Office 365 Business Premium isn’t one-size fits all but if you’re the right sized business for it to make sense, there’s a good amount of value to be found in the package’s comprehensive software offering. Office 365 Home is a great solution for household use, but it’s not really designed to be a catch-all for modern businesses. For one, it’s not actually licensed for commercial use. Then, looking beyond that legal detail, Office 365 Home only really covers the basics. Microsoft’s classic trinity of creative software - Word, Excel and PowerPoint - is as useful as ever but the company are increasingly investing more in cloud services and specialised business applications. The bulk of these aren’t on the menu when it comes to the home version of Office 365. To get access to those proper business features, you have to be a proper business customer. That’s the broad strokes pitch for Office 365 Business Premium. What’s the difference between this and the other versions of Office for business? 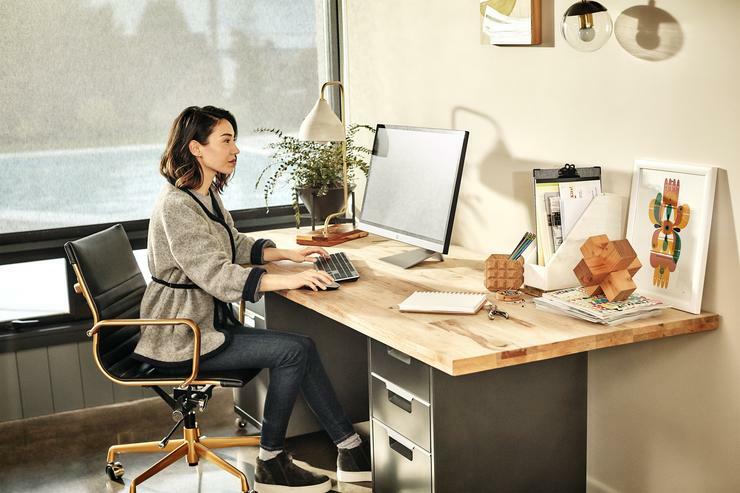 Priced at $209 per year, Office 365 Business Premium is licensed for commercial use and provides seamless access for 5 PC or Macs, 5 Tablets and 5 Mobile users. For the fee, you get access to both the full suite of Office applications and Microsoft’s more-specialised business services. The main difference between Office 365 Business Premium and Office 365 Business Essentials is that the latter doesn’t feature any of the baseline Office applications, such as Microsoft Word, Excel and Access. The streamlined Business Essentials tier also lacks support for Outlook’s new Customer Manager, Microsoft Bookings and Microsoft StaffHub. As for the differences between Office 365 Business Premium and Office 365 Business, the standard Business option doesn’t include any of the modern, professionally oriented services that come with Business Premium. You get some OneDrive storage, but that’s about it. You don’t get access to Microsoft Exchange, SharePoint, Teams or Sway. Office 365 Business also lacks the 50GB mailbox and custom email domain address that comes bundled with the other business options. Opting for the stock-standard Office 365 Business package over Business Premium also means missing out on Outlook Customer Manager, Microsoft Bookings and Microsoft StaffHub. Before diving into any detailed look at the new features that the latest version of Office 365 Business Premium brings, it’s worth taking a moment to touch on the things that have carried over from the previous version and what they offer. Microsoft Word is still considered the be-all-end-all of modern word processors. And, aside from a few visual nips and tucks (and integration with Windows 10’s Focus Mode), the latest version of Microsoft Word isn’t a massive revision the previous one. If it ain’t broke, don’t fix it. Likewise, the latest version of Microsoft Excel is going to seem familiar to pretty-much anyone who’s used Excel before. It does come with a handful of new functions (like IFS, SWITCH, MINIFS and MAXIFS and TEXTJOIN), features (like Insights) and tricks - but it’s not a massive reinvention on what’s come before. Finally, as with Word and Excel, Microsoft haven’t tinkered too much with the latest version of Microsoft PowerPoint. The presentation software still boasts the same snappy ribbon interface and plays nice with almost every kind of media content out there. You can even export your presentation in up to 4K video quality. For those looking to take things a little further and produce more specific types of documents, there’s also the new version of Microsoft Publisher - though it’s only available for Office 365 Business Premium users on PC. You’re out of luck if you use a Mac. Compared to the holy trinity listed above, Outlook has undergone significantly more radical UI changes in recent years. The latest version Microsoft Outlook introduces a new simplified ribbon interface that can be customised to suit your workflow and more robust meeting and calendar tools. You’ve also got Microsoft’s web-based intranet solution SharePoint, dedicated data entry and database management software Microsoft Access. The latest version of Access (which is only available for PC users) boasts new 3D visualisations and an updated Linked Table Manager. These aren’t going to be game changers for everyone but if your needs demand them, they’re neat inclusions that work well. Beyond the baseline suite, there’s also OneNote and OneDrive. 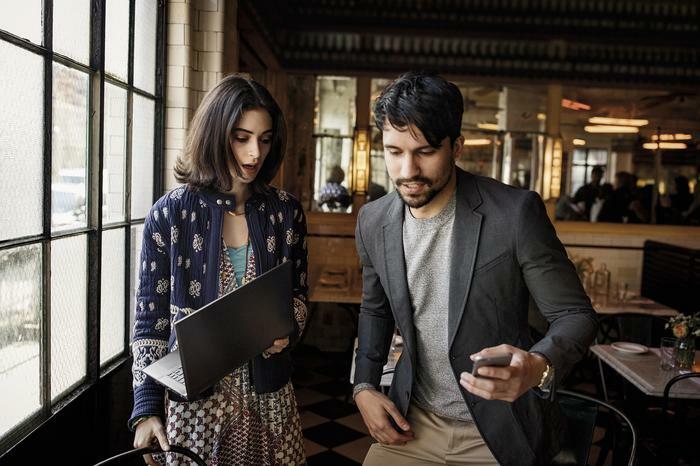 Office 365 Business Premium gives each user 1TB of OneDrive storage that can be accessed from anywhere and on any device. Once set up, OneDrive is a easy way to share files and content with those both outside and inside your business. There’s not a massive story to be sung about OneDrive. It’s the kind of software that does what it says on the tin - and that’s about it. Still, it saves you having to pay for a separate cloud storage service and integrates in smart ways with the rest of the Office 365 Business Premium Package. As for OneNote, it’s a more-specialised note-taking option that’s better suited for rich multimedia content that Word is and has been designed with fast and easy collaboration in mind. Your notes are automatically backed up on OneDrive - so sharing them notes with others is now as straightforward as pushing a button. If anything, collaboration is probably the biggest evolution that Microsoft are emphasising across the broader Office 365 Business Premium line-up. The company have been fielding a comprehensive roster of solid software solutions for decades now, even if they still lack alternatives to the creative tools commonly found in Apple MacOS like Garageband and iMovie. On a more fundamental level, the status quo for what Microsoft Office 365 hasn’t really changed all that much. This latest incarnation of Office 365 is easier to use and more powerful than it was ten years ago, but the things you’ll probably use it to do haven’t changed all that. The thing that has changed is how those once-discrete software solutions speak to one another and how they speak to Microsoft’s newer business services, specifically Microsoft Teams. And in addition to the returning favourites listed above, Microsoft have also included several new business-centric services in Office 365 Business Premium. Replacing Skype for Business, Microsoft Teams is a complete chat, collaboration and online meetings solution built from the ground up for modern business environments. Files, conversations and web pages are all separated into a set of simple tabs, rather than separate windows or pages. The idea here is that Teams supplements your existing workflows by tying what were previously isolated parts of the Office experience together. Whether you deal in Word, Excel, PowerPoint or OneNote, Microsoft Teams makes sharing and collaboration a lot more seamless than it’s been in the past. It spins together what would otherwise be a set of disparate files, links emails into a living document that exists within a shared workspace. It helps that Teams has also been designed from the ground up to be rebuilt. It can be customised through an enormous library of plugin-like apps - allowing you to customise and build the collaboration experience that makes the most sense for your individual business. This is good because it means that, even though you do get that free terabyte of OneDrive storage with Business Premium, you’re able to use Teams with the cloud storage option of your choice. There’s also Microsoft Sway. It’s a leaner, meaner take on the same niche that Microsoft Publisher is aimed at addressing albeit in a more web-first format. Sway lets you quickly and easily design and share visual-rich presentations, reports and newsletters. Sway might not sound radically different to what you can already do in Publisher and Word. However, there’s a compelling simplicity and tactful modernity to the production pipeline here that’ll makes it really appealing to actually use. As previously mentioned, Outlook has also picked up a few new tricks this time around. Firstly, it now also integrates with a new feature called Microsoft Bookings. Microsoft Bookings allows businesses to set up what are essentially consumer-facing web pages that clients can use to book appointments and business owners can use to manage their employees. Appointments made in Bookings are automatically pulled into your Outlook Calendar and the web-based service will warn you before you make any potential double-bookings. Microsoft Bookings also features fast and easy integration with social networks like Facebook, making it easier to reach audiences on those platforms. The other big perk for Office 365 Business Premium users is the Customer Manager feature. In previous incarnations and other web-mail services, you had to manually track things like deals, deadlines and contact details for clients. Now, Outlook users have access to a new Customer Manager feature that’s built right into the latest version of Outlook. The Outlook Customer Manager compiles and collects relevant information about clients and automatically generates regular reminders for tasks. It’s also available on mobile, allowing you to access it whenever and wherever you want. Whether or not it’s comprehensive or versatile enough to fill that CRM-sized hole in your workspace is hard to guarantee, but it’s another example of how the biggest strength of Office 365 Business Premium isn’t just the quality of its software experiences but in how it bridges those experiences together. Office 365 Business Premium isn’t one-size fits all but if you’re the right sized business for it to make sense, there’s a good amount of value to be found in the package’s comprehensive software offering. What’s more, the ever-evolving nature of Microsoft’s Windows 10 operating system means that things are only going to get better from here. In the past, there have been plenty of good reasons to build your business around the capabilities of Microsoft Office. The ever-evolving software offering rounded out by surprisingly robust set of more-specialised business services presented by Office 365 Business Premium tier doesn’t do much to change that.